It is hard to believe that the first semester of the 2018-2019 is coming to an end. I would like to take time to thank our students, staff and parents for an impressive first half of the school year The next several weeks are typically a time of great growth - the students have matured since August and are ready to take on more responsibility for their learning. I am excited to see the growth we make over the next few months. Students are working to finish the second round of the STAR 360 assessment. The initial benchmark assessment was given to all students back in September. Parents will receive assessment results in the mail once all testing is complete. We plan to have these reports sent home in the mail towards the beginning of February. Please contact your child's teacher for additional information related to the STAR assessment report. Additional information can be found using this link. This fall provided us time to transform the Community Room into the Think Tank (Makerspace). This new room provides our students with a space that is educational, engaging, and collaborative all with a focus on STEAM. Our Eden Hall PTO supported this effort by providing materials such as Little Bits, sewing machines, Makey Makey, Sphero Robots, K’Nex, Cricut machines, and 3D pens. To extend learning opportunities, the Pine-Richland PROF is adding 20 iPads, cases, and charging lockers. Thank you to parents for sending in additional supplies to support this new space. Please click here to view a list of donations needed. Health and Wellness continues to be an area of focus at Eden Hall. A wellness committee made up of parents and teachers was formed over the summer. This committee has worked to look at ways to increase physical engagement with our students and staff, design programs to support our parents, and find ways to educate and build awareness in our school community around wellness. With the support of our PTO, the committee was able to purchase 20 stationary bikes that will be used in physical education classes and other key areas within the building. The committee is also designing an indoor/outdoor walking path that allows students to be active during the day. 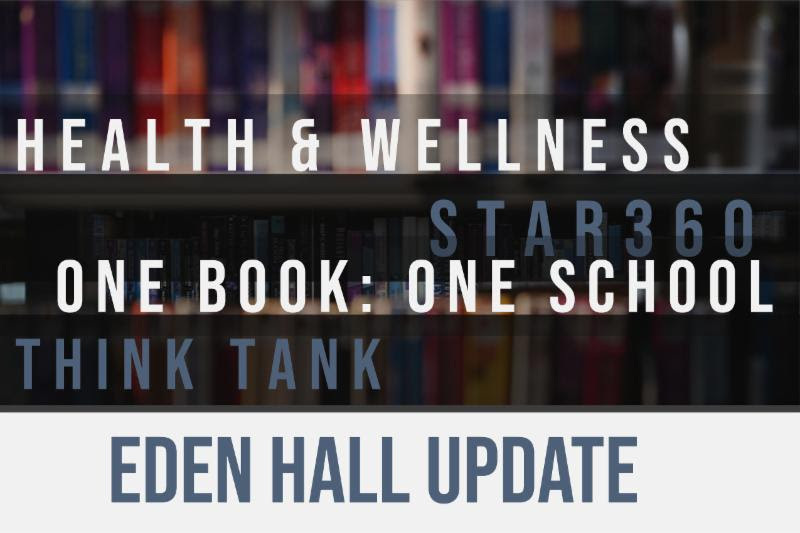 The Wellness Committee will be hosting a parent educational night on Thursday, February 21 from 6:00-8:00 p.m. at Eden Hall Upper Elementary School. Ryan Klingensmith, founder of Shape the Sky and licensed Professional Counselor, will be talking to parents about how to create responsible kids on social media. Parents are strongly encouraged to join us to learn more about ways to support our kids in a time where technology is changing the way we live day to day. Beginning January 25, the Eden Hall School Community will be kicking off a special project, an all school book club called One Book, One School. Every student and staff member will be receiving a copy of the same book- titled to be announced on January 25- and asked to read it at home over the course of the next several weeks. A committee was formed and have designed learning activities that will enhance the enjoyment and understanding of the book. Parents, guardians, and families are encouraged to read along and discuss the book together. Thank you to the Eden Hall PTO for supporting this initiative by providing the books for our school community and enabling us to enjoy this shared reading experience. We look forward to the second half of the year and to the opportunities ahead for your child. Thank you for your continued support and commitment to our school community. Eden Hall is truly Focused on Learning for Every Student, Every Day.